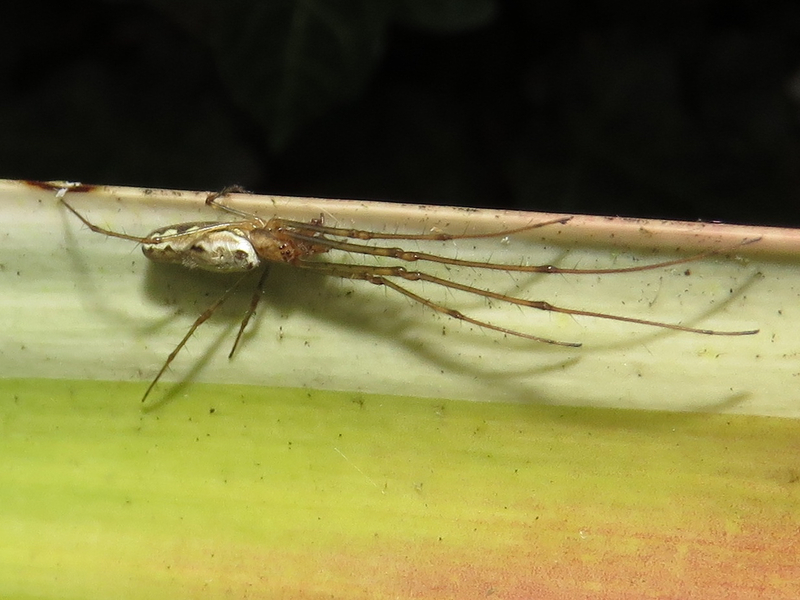 I found this female stretch spider, Tetragnatha, in the garden this evening. I remembered that they have lovely faces and I gave it a try on the white bowl aiming for a frontal shot. They have their eyes in two rows, the bottom central pair facing forward. 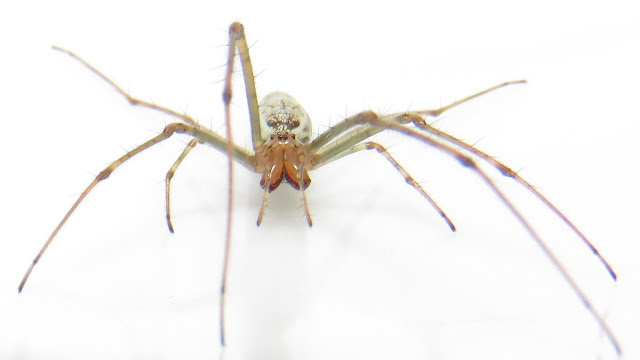 The face shot also allows to see its enormous fangs. After a short session in the bowl, I returned the spider to her leaf and she rapidly climbed to her retreat. 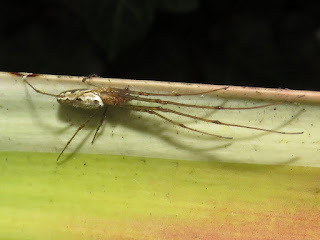 The resting position of Tetragnatha on a leaf. Thank you Val, much appreciated! I might be putting people away from other bugs by blogging so much on spiders, but they are so fascinating. I'm having a few bees about, but the weather is just not warm/dry enough, bring summer on! I have lots of these on the plants in my garden pond. Love watching the speed they re-build their webs every evening.